Drake combined their full-featured shell jacket with their MST Eqwader™ liner jacket to create the most versatile systems jacket available. The shell is outfitted with Instinctive Features like the Spring-Open™ shell pockets, a Magnattach™ call pocket, zippered security chest pocket, Deep Water™ handwarmer pockets, four zippered storage pockets, and an oversized rear pocket for storing extra gloves, dog lead, heat packs, and other bulky items you want to keep out of the way. 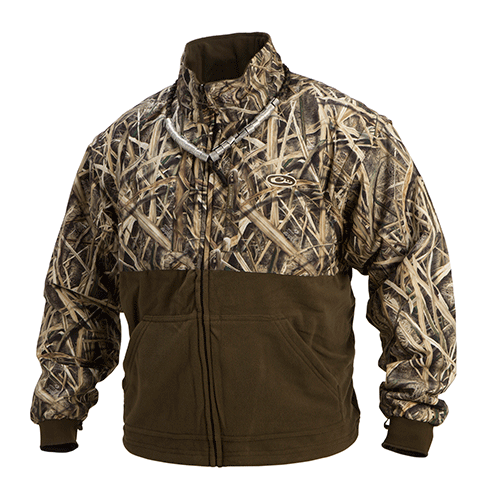 The liner jacket is constructed with our patented Eqwader technology for maximum comfort and breathability under waders. 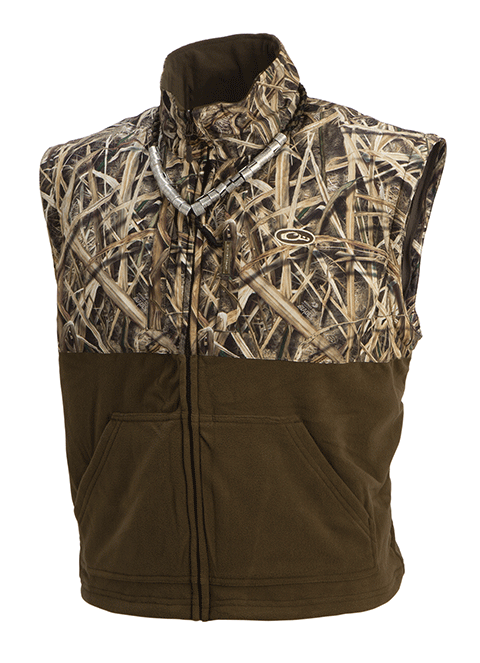 The liner jacket features zip-off sleeves for even greater versatility. For increased durability, Drake added reinforced material in high-wear areas such as the lower waist, lower back, underarms, and pocket openings. Maximum Versatility: - Shell Jacket + Liner Jacket - Shell Jacket alone - Liner Jacket alone PLUS... Zip-off sleeves on Liner Jacket for two more options: - Shell Jacket + Liner Vest - Liner Vest alone Materials: 100% Waterproof/Windproof/Breathable Refuge HS™ shell fabric, Hypershield 2.0 Technology, adjustable neoprene cuffs, taped seams, reinforced wear areas with laminated 300-denier material. 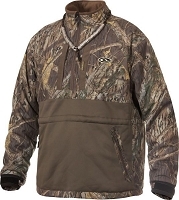 Liner Material: MST Eqwader Full Zip with removable sleeves. 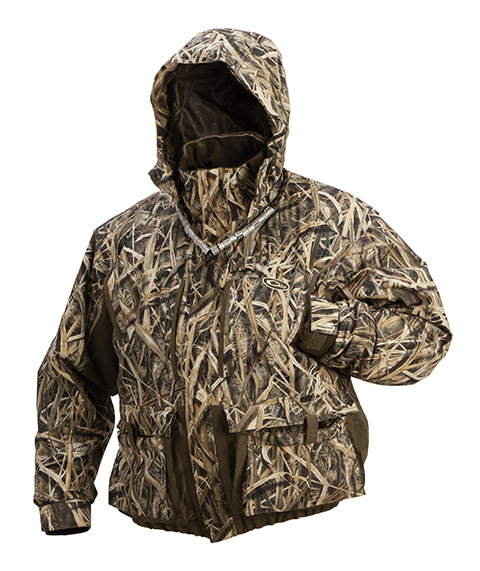 Instinctive features: Magnetic chest call pouch on shell and liner, license/key pouch on shell and liner, call separator, deep water hand pockets, Spring Open Shell Pockets, and zip off hood. 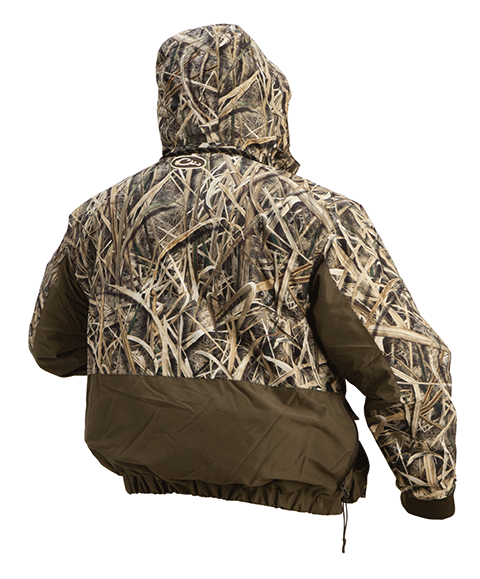 This wader coat is first class and quality made coat,very durable. My son wanted this for Christmas. He is an avid hunter and he loves it!